An olive oil is an olive oil is an olive oil, right? Not exactly. Apart from the huge difference in quality between extra virgin and refined oils, there are also flavour and style differences. Willow Creek Olive Estate runs us through the basics. Extra virgin olive oil can be divided into three styles: delicately fruity, medium fruity and intensely fruity. The specific cultivar or blend of cultivars used, the ripeness of the fruit, the area of origin and the climate influence the intensity, aroma, taste, colour and mouth feel of an olive oil. 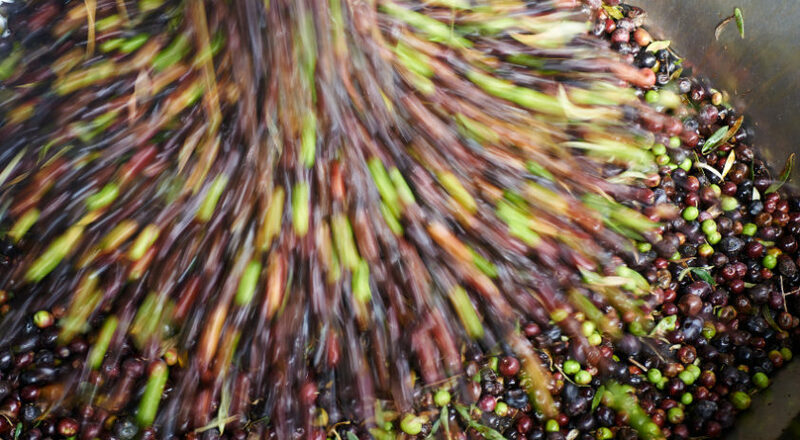 The greener the olives, the more intense, and the riper, the more delicate the oil will be. The more intense (bitter and pungent) an oil, the higher the polyphenol (compounds in natural plant foods that have antioxidant properties) levels and thus natural anti-oxidants contained in the oil. The higher the intensity and anti-oxidant levels, the longer the shelf life will be. A suggestion is to try a delicate oil (such as Willow Creek’s Nuy Valley) as a healthy alternative for products with trans fatty acids, saturated fats and refined oils in everyday cooking and baking, for preparing fish and for making homemade mayonnaise. Use a medium oil (Estate Blend) for grilling fresh tuna, oven roasting chicken and vegetables, and with salad and fresh bread. Enjoy an intense oil (Directors’ Reserve) as a marinade and basting for grilled steak, swirled into hot soup, and with strongly flavoured dishes and ingredients such as onions, chillies, anchovies and matured cheese. From our local olive oil champions, you’ll find an olive oil delicately infused with natural oils extracted from lemon rind. The fresh, zesty flavour makes it very popular as a dressing for salads or blanched asparagus, a basting for oven roasted chicken and grilled fish, a frying medium to prepare flash fried prawns and of course all seafood dishes. The Parmesan-infused oil is used to transform dishes such as roast chicken or chicken schnitzel, potato wedges and oven roasted vegetables into something extraordinary. It also adds the finishing touch to any pasta dish. The third version is basil-infused. It is suited to Mediterranean cuisine, on pasta with roasted tomatoes and buffalo mozzarella, to pan fry fish, stirred through mashed potatoes or brushed onto crostini before adding the toppings. Does olive oil become unhealthy when you cook with it? Extra Virgin Olive oil has a very high smoking point (210ºC) and can safely be heated to high temperatures. In fact, the lower the natural free acidity, the higher the quality of the extra virgin olive oil and the higher the smoking point. In contrast to sunflower oil for instance, which should not be reheated more than two times, olive oil can safely be reheated up to five times. The structure of olive oil does not change when heated. Hint: As olive oil will lose some of its flavour during extended cooking periods, it’s a good idea to stir in some oil at the end of the cooking time just before serving to ensure the optimum flavour. Colour is actually not an indication of quality when it comes to olive oil. Choosing extra virgin (not refined) is an excellent start, and looking for the SA Olive Commitment to Compliance seal guarantees that the product has passed South African quality checks. Will the olive oil in my cupboard ever go bad? Extra Virgin Olive Oil is unique amongst vegetable and seed oils in that it can be consumed in its natural state without any need for refining. This natural state means that it will not stay consumable forever. Olive oil is generally given a shelf life of two years. As air is the worst enemy of extra virgin olive oil, close the bottle after use and store it in a cool, dark place. Do not store olive oil in the fridge – it will solidify and condensation will promote oxidation. Local is lekker, and in Willow Creek’s case also truly world-class (they have won countless international awards!). Consumers can find their products in everything from the nearest farm stall to the supermarket around the corner. All Willow Creek’s products are extra virgin, so any choice is a good choice. When buying other South African products, be sure to watch out for the SA Olive Commitment to Compliance seal, which indicates the harvest year of the olives, verifies that the oil is 100% South African, has undergone chemical analysis and a taste test by the SA Olive tasting panel to verify that it is extra virgin. Just a hint: Foodies will love Willow Creek’s squeeze bottle for its practicality and convenience. The unique patented nozzle allows the olive oil to be poured more slowly than with traditional olive oil spouts. The PET bottle is environmentally friendly, and the bottle has an oxygen barrier and UV protection to maintain the oil’s quality throughout its shelf life of two years. • Do you have information you would like to share or read? Click here to make a suggestion.